First race is on like Donkey Kong! Tuesday, December 6th marks the beginning of the Wasatch Citizen Race series and the gun goes off at 7*. But a lot happens before the gun goes off- plan to be at the starting line early to hear the course description and learn important beta. Make sure you’ve signed your waiver here or on our website and paid your membership before race day- like how about now, now seems like a good time :). Save yourself some frustration and frozen fingers, get up to Brighton nice and early so you have plenty of time to remember how to put your boots on, which way your skins go, check in and get to the start. 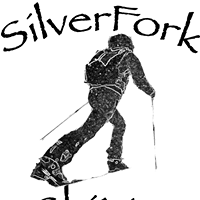 Interested in the Silver Fork Skimo Youth team? Check out their open house Friday, Dec 2nd from 5-7. See attached flier here for more details or check out their facebook page! *New to Skimo racing? Join us at 6pm for a quick 30 minute Intro to Skimo Racing before the Dec 6th race. We’ll go over the basics of how a skimo course works and some of the gear. Come with your questions and warm clothes! Meet at the bottom of the Great Western lift. If interested please let us know by sending a quick e-mail to info@utahskimo.org with the subject line ‘Clinic’. Brighton Snowsports School is offering a new * Alpine Touring Workshop designed to educate skiers and snowboarders, who are interested in venturing out into the backcountry. If you have ever wanted to get into winter backcountry touring or are just getting into it, this workshop is for you! This workshop will be held over 4 days: 1 evening lecture, 2 half-days on snow and 1 full-day on snow. The 2 half-days on snow will be at the Brighton Resort and the class will be skiing in and out-of-bounds. Full day lift passes will be included on these 2 days. Dates: Thur. Jan. 12th 6-9pm, Sat. Jan. 14th 9am-noon, Sat. Jan. 21st 9am-noon & Sat. Jan 28th 9am-4pm. Rate: $299 and includes 2 full day lift passes at Brighton on Jan 14 & 21. This is it, the first race of the series! Show up early and don’t forget your helmet, headlamp, and your lungs!